Joy Organics finds its roots in a very personal and moving story about the company’s founder, whose name just happens to be Joy. Joy suffered for years from both chronic pain and sleepless nights but wanted a natural, non-addictive and safe option to treat her issues. Joy Organics went into business with one thing in mind; to produce and sell the finest quality CBD Extract in a range of the best CBD products on the market. Fast forward just a few short years, and Joy Organics have realized that goal, and are still going from strength-to-strength. Joy’s mission, to bring the purest, organic, broad-spectrum CBD at a price people can afford on a long-term basis has been a successful one so far. The family-owned business includes her husband, Todd – who came to the table with 28 years of experience from one of the world’s leading metabolic health companies. Along with their children, Joy and her dedicated team have formulated and produced an amazing range of finest CBD products, including, CBD Oil Tinctures, CBD Softgels and a fantastic range of CBD Skincare products – to mention just a few. We are taking a closer look at Joy Organics in this brand review, focusing on the great range of products as well as the processes employed by the company to ensure the best quality, potent and safe CBD. Also, be sure to keep an eye out for the awesome Joy Organics Coupon Code at the end of this review, and you can save a generous 15% on your purchase from Joy Organics. Joy Organics pride themselves on providing the best in CBD to their customers and have some robust processes in place that work to that end. For starters, all of Joy Organics premium grade CBD products are produced using Best Manufacturing Practices, and that means from seed to shelf. Their GMP-certified facility is approved by the FDA and meets all of the requisite industry standards. Then, there’s the fact that Joy Organics sells only broad-spectrum CBD Extract that includes the whole range of cannabinoids and terpenes inside the hemp plant – barring THC of course. As well as free shipping in the USA, Joy Organics best CBD products are risk-free as they all come with a solid 30-day money-back guarantee. But more than that, all of Joy Organics’ CBD comes from hemp oil that goes through the same rigorous extraction process to ensure consistency as well as potency, efficacy, and safety. 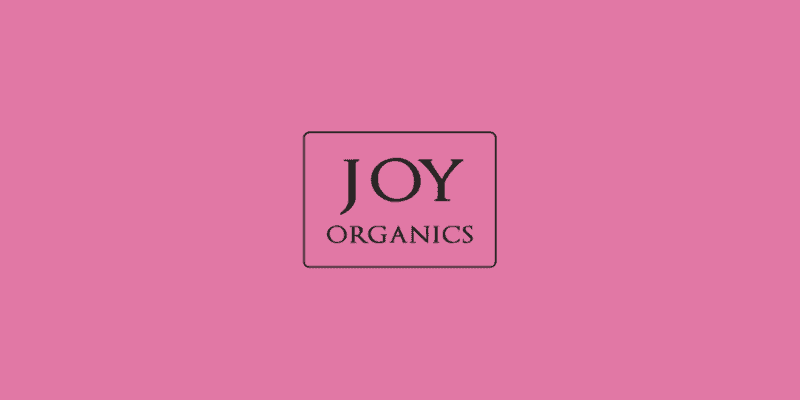 Joy Organics products are all organically grown and processed in the USA. The company is also very Veteran-friendly as the company owners have strong ties to the military. In this Joy Organics brand review, we are taking a closer look at three of the best-selling and most popular products within the Joy Organics range, and are excited to bring you a great 15% off CBD Coupon Code at the end of this review. The whole range of Joy Organics’ quality CBD products are great, but we have cherry picked three products that are getting a bunch of attention at the moment – and that includes a lot of five-star reviews. If it’s CBD Skincare that interests you, you’ll need to look no further than Joy Organics to handle your CBD needs. There’s also their great CBD Energy Drink which is enjoyed by many customers as a great way of keeping hydrated throughout the day. Joy Organics CBD Night Cream is also a fantastic product, but whichever product you choose from this company you can rest assured you are getting the very best quality CBD available on the market. CBD for skincare is a trend that’s gaining in popularity these days, and there are some good reasons for that. Joy Organics Skincare Bundle is a great way to try CBD for your beauty regime as it includes five amazing products: CBD Face Mask, CBD Eye Serum, CBD Face Serum, CBD Night Cream and CBD Day Cream. You also save around $100 when you choose Joy’s CBD Skincare Bundle as opposed to purchasing these products separately. Every product in the Skincare Bundle contains the best THC-free phytocannabinoid-rich CBD Oil that leaves skin feeling both refreshed and revitalized. Also bear in mind that the products inside the bundle are all Kosher, suitable for Vegans, and lab tested by a third-party lab for complete transparency and peace of mind. Joy Organics’ Energy Drink mix is fast-acting and provides a natural energy boost much like other energy drinks on the market but without the nasty ingredients inside. CBD Energy drinks can help to increase mobility and to fight inflammation at the same time. They can also improve flexibility and give you a boost of natural energy to get you through your workout. Many people who have already enjoyed this product claim it improved their mood significantly and left them feeling energized and with a sense of wellbeing. As well as the finest CBD, Joy Organics’ Energy Drink also contains vitamins and minerals that are also considered to be healthy. People who want a faster recovery after their workout also choose this product, and this is in line with the World Anti-Doping Agency’s recent announcement that CBD can be beneficial for athletes, and is safe, non-toxic and non-addictive. Day-to-day life can take its toll on your skin and leave your complexion looking and feeling tired. 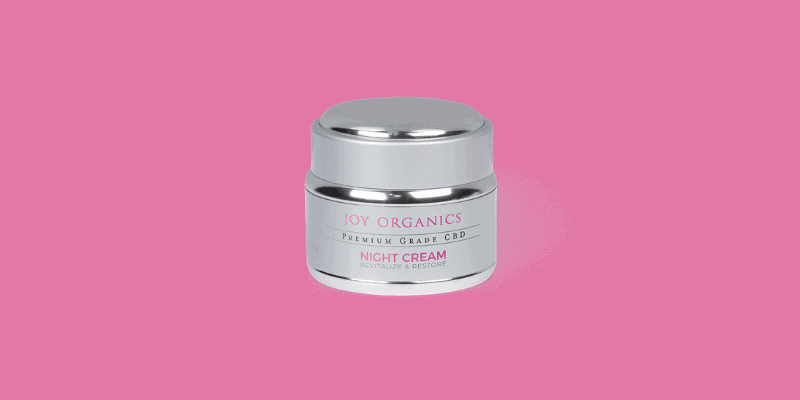 Joy Organics premium grade CBD Night Cream is a great solution for people wanting a substantial and effective skin cream that is applied before bed and works throughout the night to rejuvenate and moisturize the skin. As CBD Oil naturally contains omega-3 and omega-6 fatty acids it is naturally beneficial for the skin and leaves almost no oily residue. As well as the best CBD Extract, this night cream also contains other ingredients that are beneficial for the skin. They include verbena extract, chamomile extract, and lavender extract, leaving your face feeling fresh and smelling great. Joy Organics CBD Night Cream is made in the USA, never tested on animals and is completely THC-free. When it comes to buying CBD online, you want to feel safe in the knowledge that you are buying products from a reputable company who are respected within the industry. As such, Joy Organics is a household name you can trust and their social media presence, and numerous positive online reviews are a testament to that. Their fantastic CBD Skincare range is loved by many, and they sell some products that are unique to them. So if you’ve decided it’s time to take that brave step into the wonderful world of CBD, look no further than Joy Organics for all your CBD needs. You also get to choose from some of the most reputable CBD products on the market, including CBD Softgels, CBD Salves, CBD Vape Pens and some of the best CBD Skincare items money can buy. If you want to save 15% off your purchase from Joy Organics, simply add the Joy Organics Coupon Code “BESTDOSAGE” on the checkout page of your shopping cart. This will automatically save you 15% and don’t forget – you also enjoy free shipping to all 50 states when you buy from Joy Organics. Also, bear in mind that this offer is not limited and can be used as many times as you like or by your friends and family.